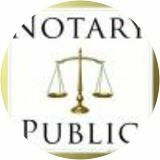 Providing notary public, Apostille, signing agent services, and Reverse Mortgages closing services in the following Missouri cities and counties. COUNTIES Jackson, Clay, Cass, Platte, Johnson, Lafayette, Ray, and Clinton. Please contact me for your next signing agent assignment and notary needs in the Kansas City, MO., and Western Missouri surrounding area. Thanks in advance for the opportunity to be of service to your company.